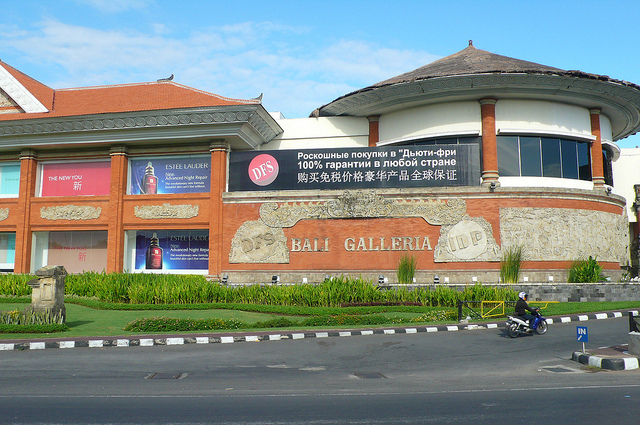 There are endless shopping opportunities in Bali and we can't hope to do them justice here, but we'll be listing some of our favourites from food to furniture, art to clothing, antiques & souvenirs. Click the logo for the locations own website and the map for a Google Maps precise location. 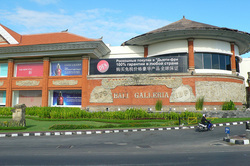 Bali Galleria consists of 2 main areas, the DFS Duty Free at the front of the development and, behind it, the mall itself. The Duty Free section has a wide selection of international fashion & accessory brands as well as some local handicrafts and is big with tour groups...you know how it goes, enter at your own risk! The main mall is a reasonable size and has a good selection of everyday shops from the anchor Matahari department store, Hypermart and ACE Hardware to numerous smaller sports/fashion/beauty shops and food/beverage outlets including Coldstone creamery (try a double scoop cheesecake & blueberry! ), Pizza Hut, Starbucks and some local restaurants. Note that if you're approaching from Seminyak/Canggu/Villa Abadi you will need to turn left off of Sunset onto Jln Bypass Ngurah Rai then make a U-turn in around 500m to come back to the mall entrance slip road. There is a small charge of around Rp3,000 for parking. Grocer & Grind has long been a source of excellent coffee, deli and baked produce in Seminyak, Jimboran and Sanur, but now they have a new local branch at Echo Beach, next to Sea Sentosa Resort. G&G is a 20 minute drive from the Villa and serves a selection of fresh pies, pastries, sandwiches, wraps, salads, pizza and Asian fare. All items can be taken away or eaten in the pleasant cafe or outdoor verandor Try the takeaway rotisserie chicken as a very tasty and convenient light evening meal. 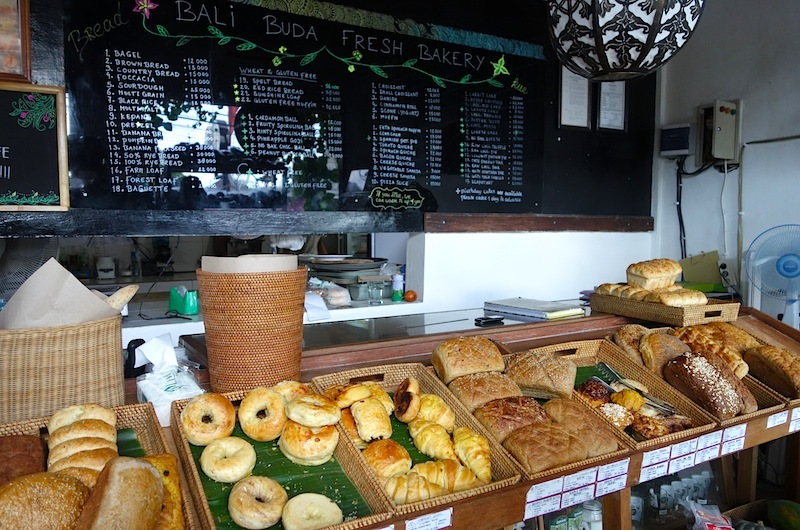 Bali Buda is one of our favourite stop offs for fresh bread and other baked goods but stocks everything from fresh baked pastries to dried fruit & nuts, vitamin & health supplements and all sorts of organic ingredients. 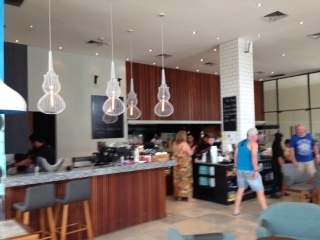 Their locally made hummus is particularly good and the coconut & passion fruit tarts are amazing! Also has a small cafe serving a good variety of healthy salads, light meals, soups and drinks as well as not quite so healthy popular western & Indonesian favourites, pizzas and deserts. Also have branches in Sanur, Ubud and Bukit.